The Paleo diet–a nutritional plan based on the presumed diet of Paleolithic humans–is all over the place lately. The idea is based on the premise that human genetics have scarcely changed since the dawn of agriculture, around 15,000 years ago, and that modern humans are still adapted to the diet of the Paleolithic period. And for the record, much of the Paleo diet is kosher for Passover…not that I’m mentioning Passover before we even celebrate Purim. 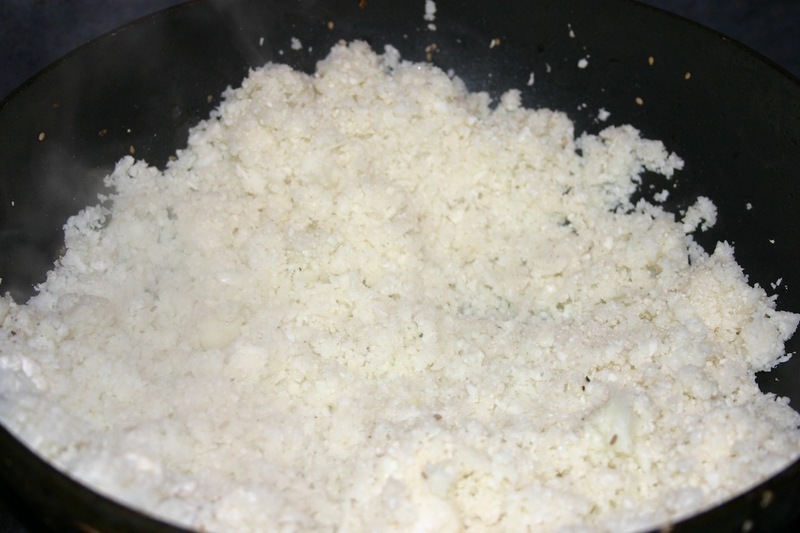 Chop up the cauliflower and process it in a food processor until it is fine and looks like white rice. Heat 1T oil in a wok or large pan and add the garlic and cauliflower. Saute until soft, stirring throughout, for at least five minutes. Add salt and pepper to taste. Set aside in the bottom of a serving dish. Add the other tablespoon of oil and saute an onion with the meat or fish until brown. 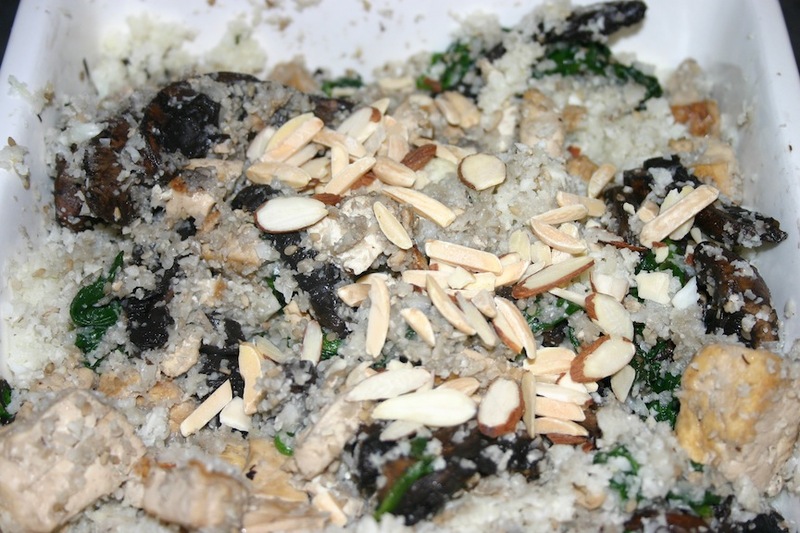 Add the mushrooms and spinach and saute until soft. Add sesame seeds and almonds and saute another minute. Add salt and pepper to taste and serve over cauliflower rice. For one of the best blogs on the Paleo diet, check out Elana’s Pantry.